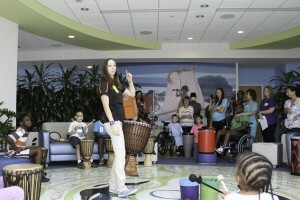 Don't know what a drum circle is? Read our drum circle FAQ here! 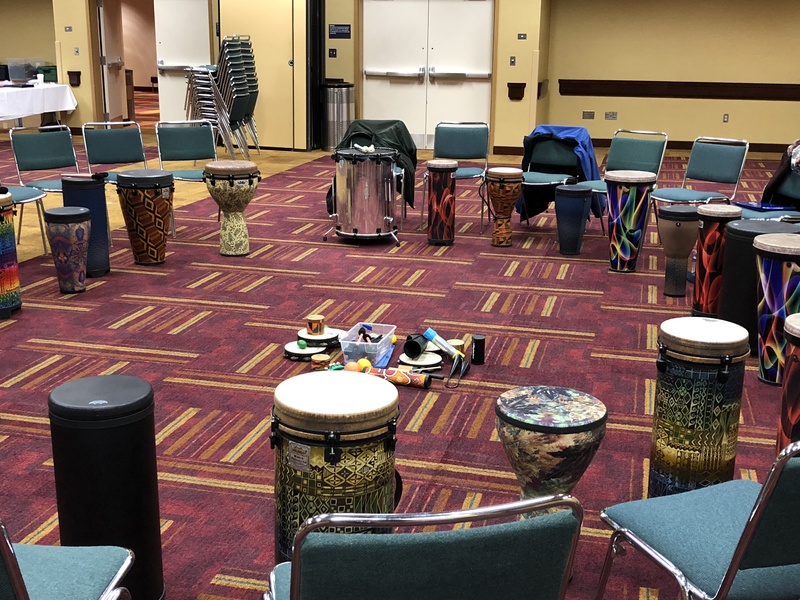 Last month, I had the opportunity to attend the Percussive Arts Society International Convention (or PASIC) in Indiana. 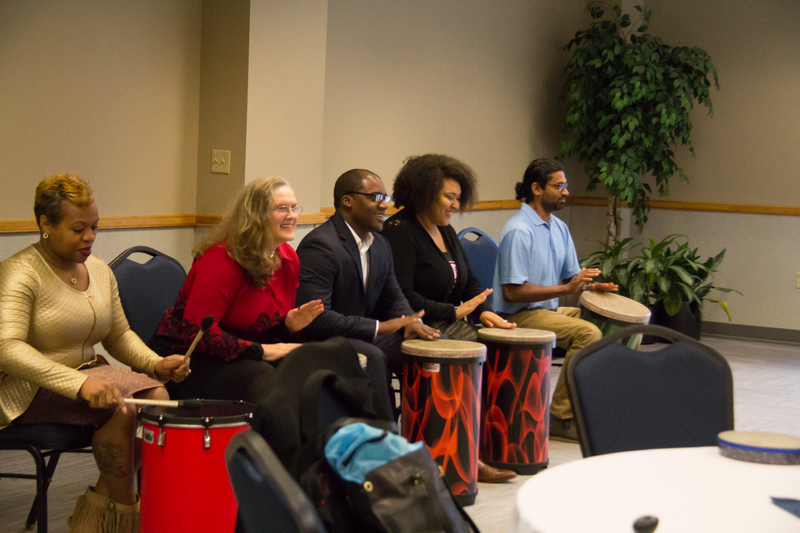 I presented a workshop on how my study of the drum and dance community in West Africa informed my facilitation style. Later, I also got to speak on a panel of facilitators about our experience using rhythm as a powerful and adaptable tool. As you might expect, I got the chance to meet many knowledgeable people from all over the world – professional musicians, skilled facilitators, educators, students, and simply rhythm enthusiasts. 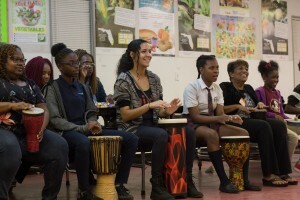 I attended a variety of sessions hosted by the Interactive Drumming Committee that focused on using rhythm in educational and community settings. Throughout these sessions, there were a few common themes and takeaways. Here are some of the most profound messages it would help us all to remember. A lot of sessions focused on adapting techniques and exercises for people in certain populations. How can we take something that works well with children and adapt it to meet the needs of corporate employees? What skills do drummers have that they can apply to their work with non-musicians? As facilitators, our number one job is to meet our clients where they are and address their specific needs or problem. No matter what field you’re in, this is a helpful reminder for all of us – how can we best be of service? Since it was my first time attending the conference, I was a bit nervous to present. I felt much less experienced than some of the more seasoned facilitators and attendees who seemed to all know each other from the conference every year. But that didn’t stop anyone from encouraging me. They came to help me set up for my workshop (and the workshops and presentations of others); they supported students who attended sessions and seemed a little shy; they helped create an inclusive environment at each session to ensure no one felt left out. This is a community I am proud to be a part of. Finally, one of the most profound themes of my experience at the conference was integrity. 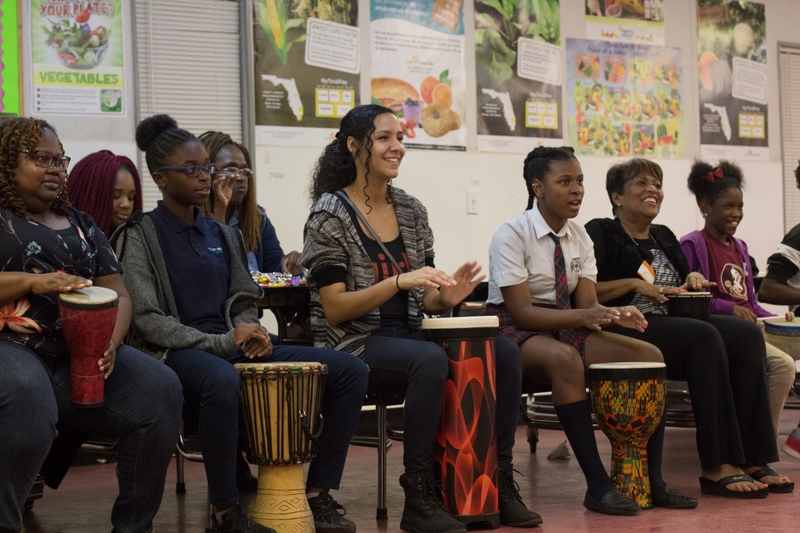 Everyone who presented, spoke, and shared their knowledge, particularly within the Interactive Drumming Committee’s sessions, had it in spades. They were trustworthy, honest, authentic, positive, upbeat, and always in service mode. These people are role models to the conference newbies like me, and even to the next generation of students younger than me who will be entering the workforce soon. Above all, they were always willing to share their experience and expertise to the benefit of others. When it was time to come back home I was a bit disappointed. I had spent 5 days in the “rhythm bubble” with people who really got the awesome gift that is percussion. I remembered it was our responsibility to continue to be positive role models in our respective communities, always being of service, encouraging, and leading with integrity. If I do this, I will always be close to my rhythm community. 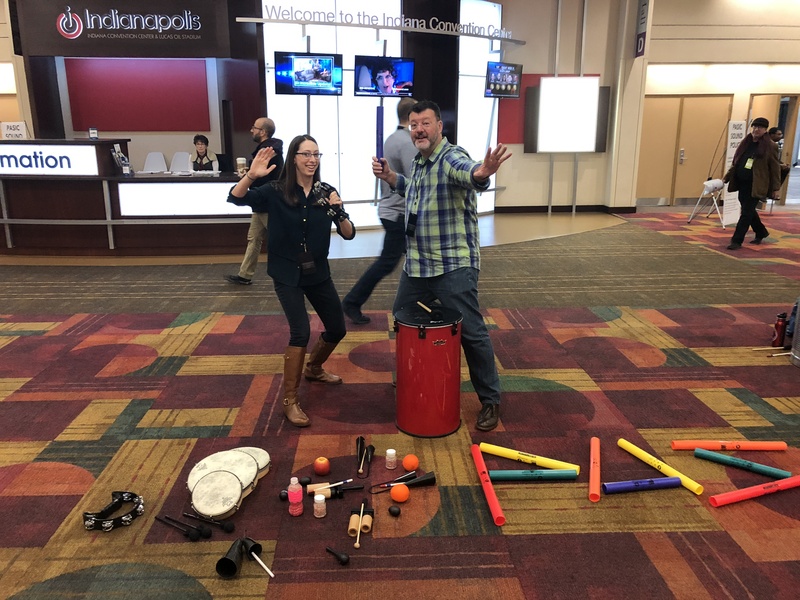 Alisha Ramcharitar, owner of Just Add Rhythm, and Greg Whitt, owner of Drum for Change, facilitate a flash jam for passersby between sessions at PASIC 2018 in Indianapolis.